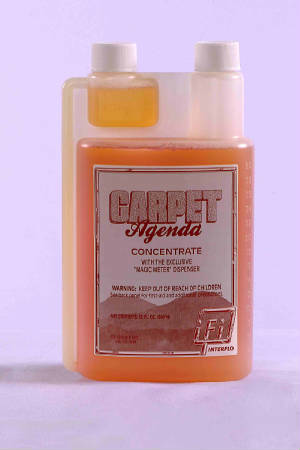 The perfect product for all of your carpet maintenance needs. This professional strength carpet cleaner is designed for use with extraction or bonnet carpet cleaning equipment. Give your carpeting that professional touch with our deep cleaning low-foaming formula. vA professional strength carpet cleaner ideal for high traffic areas. Use with extraction and bonnet carpet cleaning equipment. Perfect for deep cleaning, extraction and spot removal. An exceptional and highly versatile professional strength carpet shampoo. The deep cleaning and low-foaming formula works great on carpet and is safe for use on fabric and furniture. Fresh scent, pH balanced with no sticky residue.